In 2007, Yehuda Berlinger designed and released It’s Alive!, a quick-playing auction game where players take turns trying to acquire enough body parts to bring to life their grotesque creation. 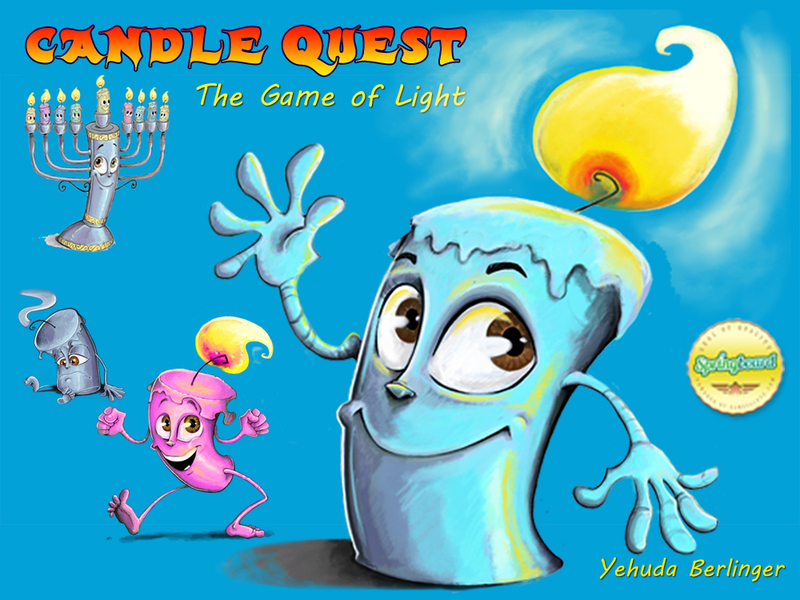 Well Yehuda has teamed up with Gilead games and Springboard to launch a Kickstarter campaign for a re-themed version of It’s Alive, called Candle Quest. Candle Quest uses the same mechanics of It’s Alive! but with a much more family friendly theme: Instead of body parts, players are collecting 8 different colored candles for their Menorah. The Kickstarter is pretty affordable too; a $25 backer will receive a copy of the game with free U.S. shipping. Of course, the higher your backing level the better the rewards (including naming rights to a few cards, etc.) And the stretch goals culminate with a free iOS app of the game for all backers! We’ll be interviewing the game’s designer Yeduda Berlinger, and reviewing the game here at TOG, so be sure to stop back for more about this title soon! Until then you can check out the Kickstarter campaign right here! Thanks for reading, and don’t forget to tell your friends about us, and subscribe to the blog!